About 7% of Americans have been rejected for a credit card in the past 12 months. This is about 17 million Americans, a number that went up by 3% from the previous period. The key to turning things around is to have a better understanding about why those credit card applications are being denied. Some of the reasons are not as intuitive as you may think. When you are just starting to build your credit history, it is often a good idea to get a credit card. Responsible management of a credit card helps to build up your credit score. However, like anything else, too much of a good thing can be harmful. Every time you apply for a card, a lender has to do a hard inquiry on your credit history and that lowers your score by a little bit. Inquiries remain on your credit history for two years. 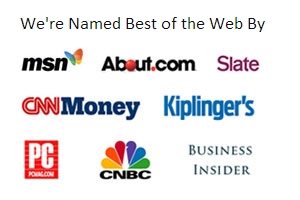 However, credit scores, such as FICO, only consider those hard inquiries within the last 12 months. This is why it is a good idea to wait 12 months before opening a new card. Most financial advisors recommend that your credit utilization should be about 30%. That means that if you have a line of credit of $1,000, you are only using $300. If your credit utilization is above that threshold, lenders believe that you have a higher probability of not meeting your monthly payments, or, even worse, defaulting on all your liabilities. Maintaining a credit utilization rate above 50% for a long time is a surefire way to get your credit card application denied. On the other hand, even if you have a low credit utilization, your application may still be denied. For example, let's imagine that you have a card with a limit of $10,000 and a balance of $3,000. When you opened that credit card, you presented a W2 showing that you were making about $4,000 per month. A year later you apply for a new card but now you have a monthly income of $1,500. Now, your debt-to-income ratio (DTI) is too high, and an agent may decide to deny your application. To prevent this scenario, calculate your DTI and keep it well below 43%. The only two ways to improve your DTI are to either pay down debt or increase your income. Some people have a hard time resisting the temptation of using their credit cards and, in hopes of preventing further spending, close down their accounts. This is a bad idea because closing accounts lowers their average age. Therefore, aim to pay down your balances and leave those credit cards open. And never close your oldest credit card, even if you don't used it anymore. If you have no other card that you have been holding as long, your credit score may take a hit. Unpaid traffic violations and library fines. Most public records stay on your credit record for at least seven years, and some, such as Chapter 7 bankruptcies, stay for 10 years. If you have an unpaid tax lien, make sure to pay it within seven years or it will stick on your record for 10 years. If you think that there is a mistake on your list of public records, file a credit recording complaint. Besides a negative public record, a charge-off is the next worst possible thing to appear on your credit report. When a lender charges off your account, it is writing off the debt as a loss and has given up on getting you to pay. While a charge-off may sound like great news for you, it is far from that. Not only does a charge-off stay on your credit report for seven years, but it also becomes a roadblock to getting a mortgage or loan application approved. Your best option is to contact the creditor and work out a lump-sum payment or installment plan in exchange of getting the charge-off removed. Make sure to get the agreement in writing. If you are younger than 18 years old, you may not get a credit card on your own. The main reason is that minors cannot enter a legally binding agreement, which is what a credit card agreement is. This is why some very conservative financial institutions may even decline to issue a credit card to anybody younger than 21, including emancipated minors. Some credit card companies may take your word regarding your income, but most of them require proof of income. The only acceptable documents are pay stubs, W2s, or copies of federal tax returns. If you are asked to present proof of income and you are not able to produce one (e.g. recent company hire, no prior tax filings), then you may have to wait until you can get one. In the case of self-employed or freelancing individuals, you may have to wait until your next tax filing. Make sure to request 1099-MISC forms, whenever applicable, because they help a lot to show revenue. Seek the advice of a professional accountant to determine the best way to provide proof of income to lenders. Even if you are able to produce all of your W2s and pay stubs, a credit card agent may see your inability to hold down a job as a problem. The rationale is that you may not have the necessary steady stream of cash inflows to meet your monthly payments. Never lie about how long you have held a job on a credit card application because companies often call employers to verify information. To squash doubts about your commitment to your current position, you can bring a letter from your employer or a signed contract binding you for several months. For some people, the ideal number may be two: a main card and a "backup" card. For others, it may be three: one for air miles, another for cashback, and another for main use. The key is to aim for a number that allows you to keep a credit utilization ratio below 30% and a debt-to-income ratio below 43%. Yes, this can happen to the best of us. When receiving an incomplete credit card application, a company has two options. One is to issue a notice of adverse action and the other is to issue a notice of incompleteness, stating what is necessary to process the application. So, make sure to cross your t's and dot your i's before turning in that credit card application. 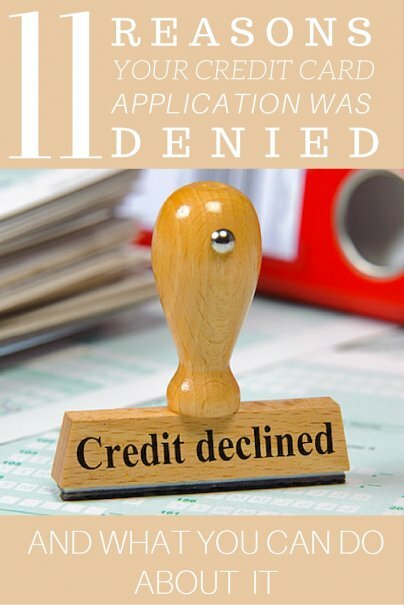 Have you ever had a credit application denied? How did you fix it?